At Anchored Recovery, we know that every person who enters our program has their own unique story. Their background and experiences influence their illness or ailment — two people struggling with the same diagnosis will still need treatment tailored to their needs. Eating disorders are no exception. Disordered eating can be a result of trauma, can develop slowly and almost imperceptibly, can be very well hidden or can be accompanied by other mental health concerns. In addition, the variety of types of eating disorders and the effects they have on the body require different approaches to physical healing as well as mental healing. Anchored Recovery is proud to be a place where people struggling with eating disorders of all kinds and complexities can come to find recovery in a supportive, faith-based community. Eating disorders take many forms, from overeating to self-starvation and everything in between. Disordered eating can be defined as an abnormal relationship with food, particularly a relationship characterized by uncontrollable compulsions. Typically, we eat when we are hungry or when we see foods we enjoy, and in healthy food relationships, the act of eating does not trigger negative emotions like disgust or self-consciousness. We can dismiss or indulge cravings, start or stop eating when we want and choose the foods we put into our bodies. There are many ways beyond these disorders that someone may have a disordered relationship with food or eating. If you believe that you or someone close to you might be struggling with an eating disorder, you should always reach out to a professional for help making a diagnosis right away. Is Treatment for an Eating Disorder Right for Me? If you or your loved one has been diagnosed with an eating disorder, then you should seek treatment for both short- and long-term effects right away. If ignored, eating disorders can have permanent effects on both physical and mental health or can be fatal. And, since they are classified as a form of mental health disorder, it is possible for them to resurface without proper lifelong management. It is vital to seek treatment that includes mental health therapy if you have an eating disorder or believe you might have an eating disorder. For this reason, many recovery facilities like Anchored Recovery offer treatment programs designed specifically to help people overcome eating disorders. In these instances, an intensive program like the one we offer at Anchored Recovery might be most appropriate. Our program gives participants individualized attention and guidance, the benefits of which are often missed when someone with an eating disorder is hospitalized for physical treatment only or doesn’t have a regular therapist. We can help you uncover the root of your concerns and learn healthy, productive coping mechanisms to prevent disordered eating habits from reemerging. Programs like ours provide a deeper level of care and understanding that contributes to self-sustained long-term eating disorder management. If you or someone close to you is struggling with an eating disorder, abusing drugs or alcohol or exhibiting self-destructive signs of a different mental health disorder, don’t hesitate to contact Anchored Recovery. Our comfortable treatment facility is located conveniently in the heart of Orange County, California, in the city of San Juan Capistrano. Our high-quality recovery services provide guidance at every step of the treatment process, from detox to outpatient care. 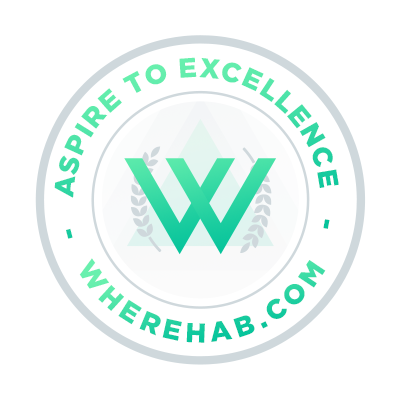 We are equipped to treat addiction to alcohol and a wide range of drugs, as well as eating disorders, mental health disorders and dual diagnoses. We encourage you to reach out to us to find out if our programs might be right for you or your loved one. Our caring and helpful admissions staff are available to answer any questions you may have — contact us today at 800-272-4550.